No one can dispute the important role played by gas turbines in power plants today. They are the brain and heart of electricity production. Feed a gas turbine with natural gas or any other fuel and it will transform it to mechanical energy, which in turn generates electricity as depicted in the figure below. Would you like to learn more about the top turbine brands in the world today? There are hundreds of gas turbine installations globally. ARANER works with many of these manufacturers to enhance performance using state-of-the-art technologies such as TIAC and TES. After years of work on the power augmentation field, we have become familiar with the leading gas turbine manufacturers and their best known products. You are probably reading this review of Siemens, General Electric (GE), Ansaldo and Mitsubishi gas turbines on a computer, which makes your electric meter tick. With the ever-increasing cost of power, turbine technology and improvements are a priority. Now let us look at the products. Three months ago, Siemens celebrated the shipment of its 1000th gas turbine from its Berlin factory. Reaching this point is no mean feat. Since its inception in 1972, the firm has remained a reliable producer of state-of-the-art gas turbines. Its products are visible in a wide range of applications and environments including oil and gas. Ever heard of the KG2-3G gas turbine? This is one of the most noticeable products from Siemens. It suits the current era of emissions regulations, and could fit in both off and onshore applications. Other turbines from the company also worth looking at include KG2-3E Gas Turbines and VECTRA® 40G Power Turbines. Highly reliable and low-maintenance, Siemens gas turbines are popular with clients globally. You will be surprised that the turbine blades for the first shipment are still intact. This speaks volumes about the functional superiority of Siemens’ products, which today boast of clock-like precision, additive methods (3D printing) among other technological advances. Like Siemens, GE is also an active gas turbine manufacturer. The global giant is particularly renowned for the manufacture of the GE LM2500, which is designed for marine and industrial environments. This turbine borrows its design from the popular GE CF6 aircraft engine. GE LM6000 is also top among the ranks, with its low emission and high power characteristics. Its key features include direct drive and dual motors. One impressive thing with GE is that it has a very wide range of products with different power outputs. Whether you are looking for heavy duty or aero derivative products, you are in the right place. GE turbines have proven to be very reliable even in harsh environmental conditions, as we can confirm after years of working on power augmentation for this brand. 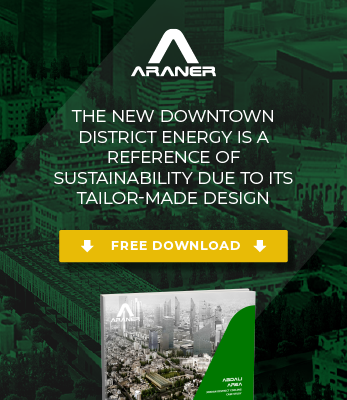 In conjunction with leading solution providers such as ARANER, the company is able to incorporate turbine inlet systems in its designs for even better performance and reliability. For over a century now, Ansaldo Energia has been providing the world with heavy-duty turbines that are both environmentally friendly and reliable in power production. The company has a worldwide reach with presence in around 30 countries. What has contributed to its massive success? We can point out many things but three factors stand out: modern low emission solutions, customer centric approach and a wide range of products. Ansaldo boasts of four major gas turbines namely AE64.3A, AE94.3A, AE94.2 and GT26. These products are made with ease of maintenance in mind. Their efficiency and environmental friendliness is also top notch. Mitsubishi Heavy Industries have been working for many years on the development of gas turbines, integrating the latest advances in aerodynamics. As a result, at Mitsubishi you can find a wide range of gas turbines from the 30MW class to de 470MW class in order to meet different needs around the world. Efficiency and reliability are two key mottos for Mitsubishi, a brand which has achieved the world’s largest capacity and highest efficiency with a turbine inlet temperature of 1,600°C. With the majority of power plants relying on natural gas, the need for gas turbines is only going to increase. If you are looking to purchase a reliable, economic and environmentally friendly gas turbine, products from Siemens, GE, Ansaldo and Mitsubishi should be at the top of your list. Although many of these turbines are still struggling with efficiency, there is hope for the future considering the recent attainment of 60 % thermal efficiency by the H-class gas turbine from Siemens. Along with these technological improvements, turbine inlet air cooling is the perfect solution. By cooling the inlet air, turbine-based power plants can enhance their capacity by up to 39 %. At ARANER we are experts in creating tailor-made TIAC solutions to fit any turbine model and any plant necessities. Download for free our Turbine Inlet Air Cooling Reference Book or contact one of our experts for more detailed information.